Conceptualize, design, develop, customize and host mobile application for Doordarshan channels to make it available on various mobile platforms on revenue Sharing basis. 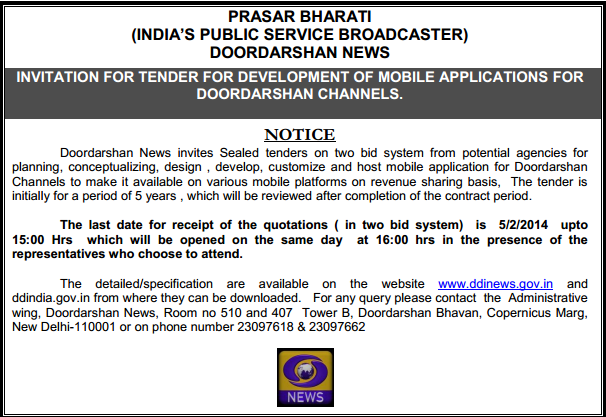 The purpose of the tender is to design and develop and host mobile applications (Mobile Apps) for Doordarshan channel including DD News. 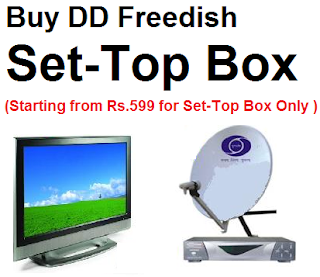 Conceptualize Design, Develop, Customize and host mobile phone and desktop applications, for Doordarshan Channels starting with DD News, suitable with support for Android, Blackberry, Windows, Symbion and iOS etc as per the required specifications of the Doordarshan.